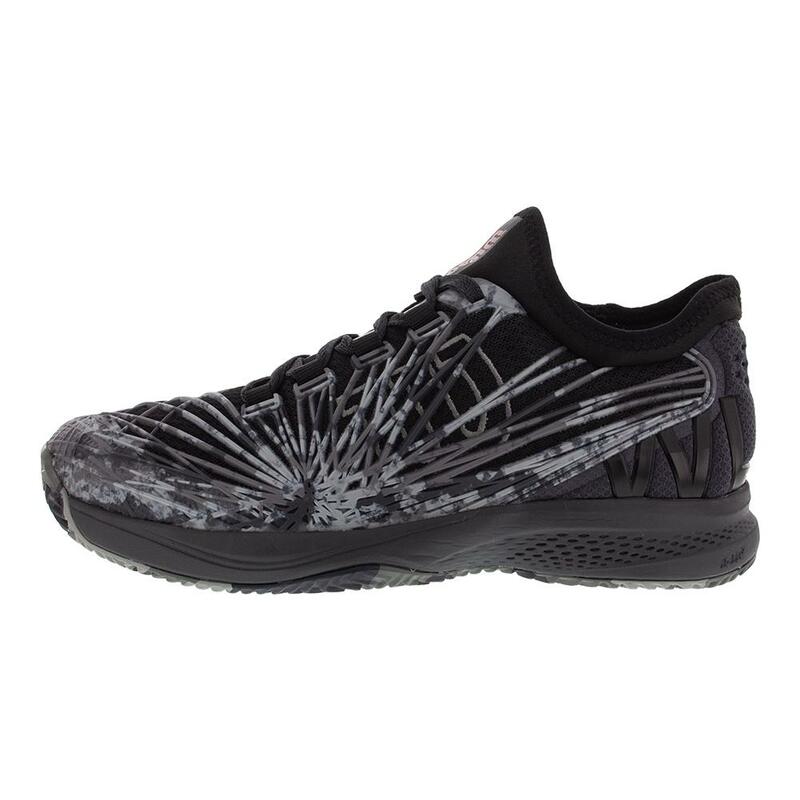 Unleash the chaos with Wilson Men`s Kaos 2.0 SFT Camo Tennis Shoes. 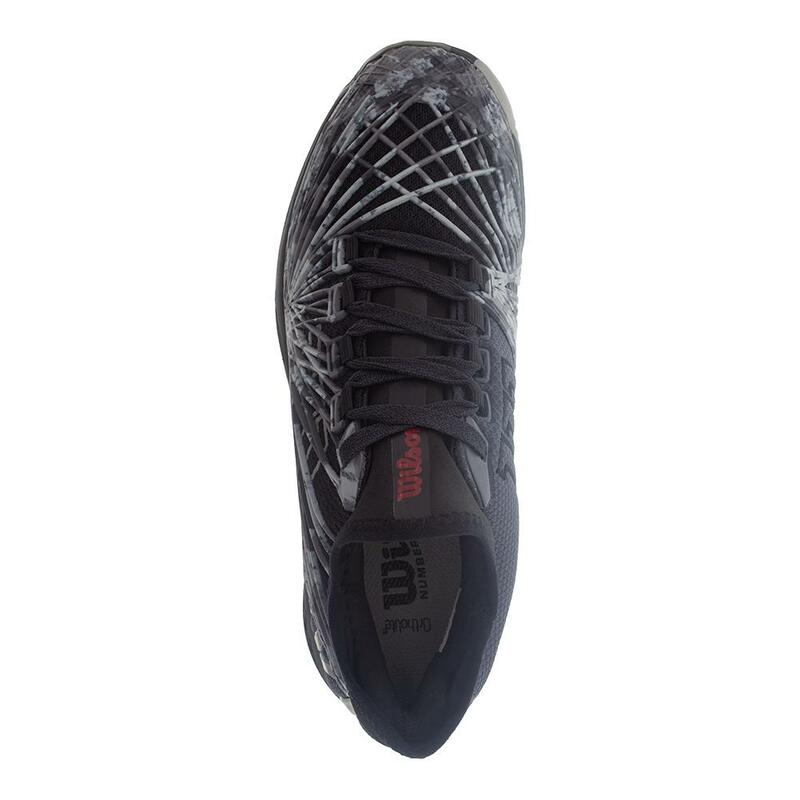 Designed to be adaptive, dynamic, and durable, these shoes are perfect for aggressive players. 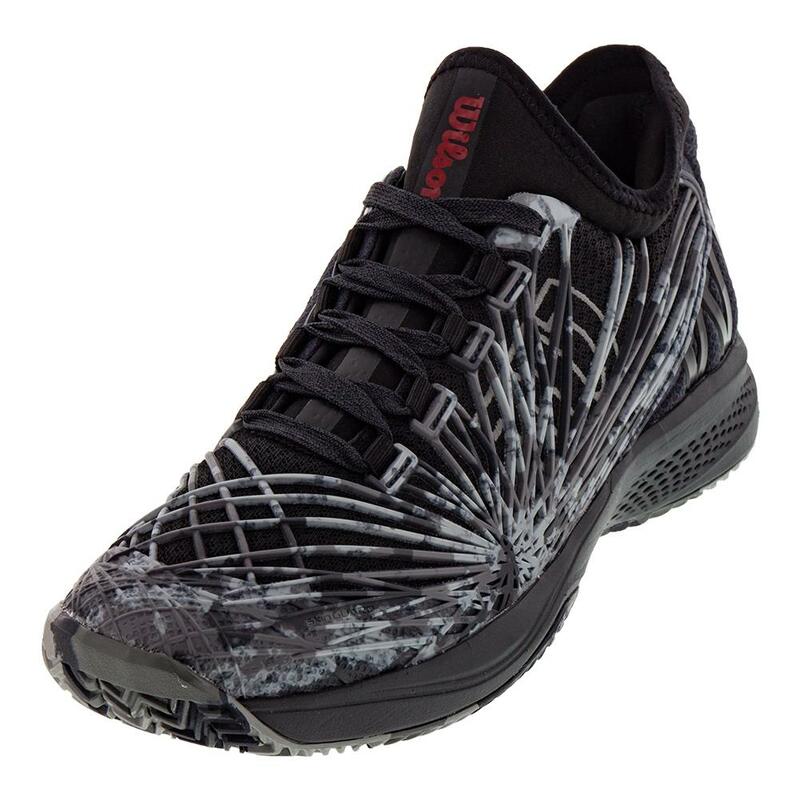 They utilize a full-bootie construction and lateral webbing for better on-court feel. Pro Torque Chassis Light (PTC Light) finds an excellent balance between torsional control and flexibility, while a number of other technologies follow suit to optimize stability, comfort, and performance. 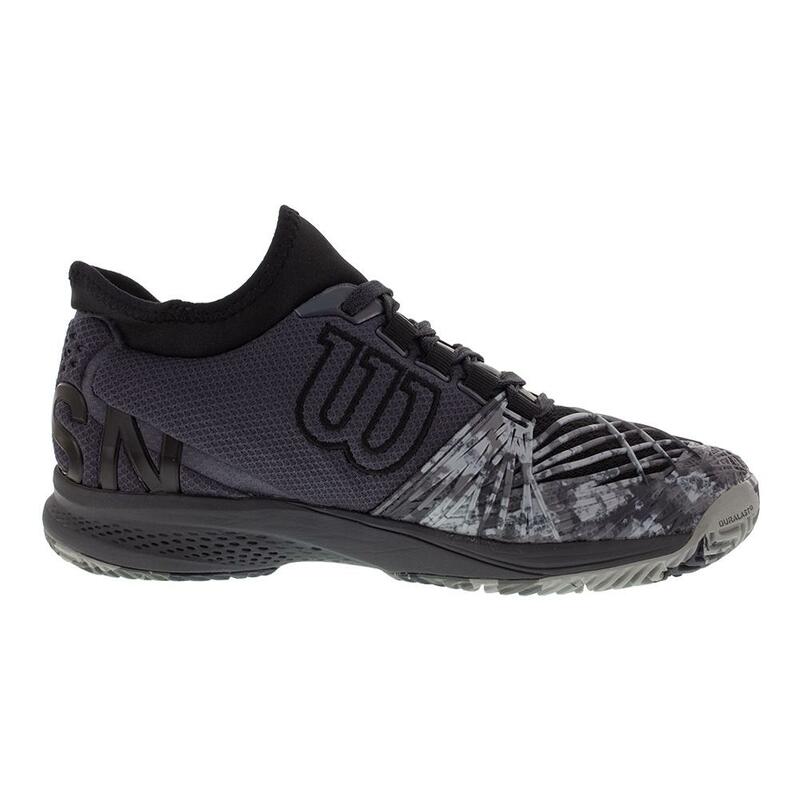 Upper: Symbiofit features a full bootie and lateral webbing for superior comfort and midfoot support. Skinguard ensures protection and durability during aggressive play, as well as forefoot and lateral reinforcement. 2D-FS provides unparalleled support for increased response time and explosive acceleration. 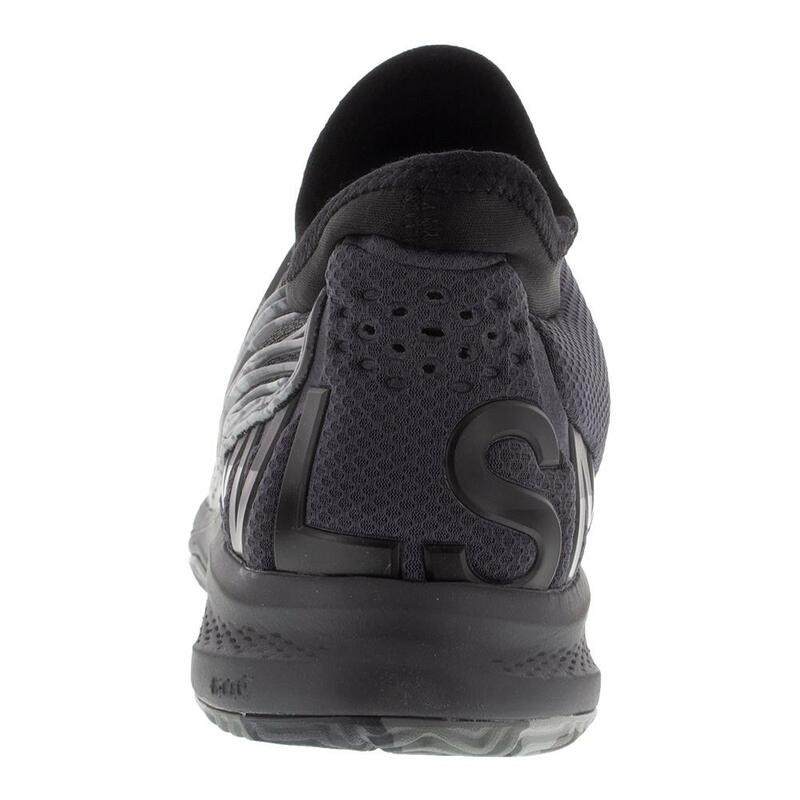 Midsole: Low profile DST foam with R-DST+ heel and forefoot material improves cushioning, rebound, and response. Pro Torque Chassis Light enhances torsional control and stability in a lightweight package. Includes Ortholite EVA Bidensity technology. 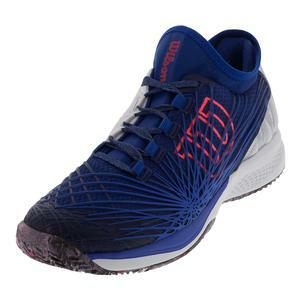 Outsole: Upgraded All Court Duralast provides improved durability and traction. Outrigger geometry increases stability. 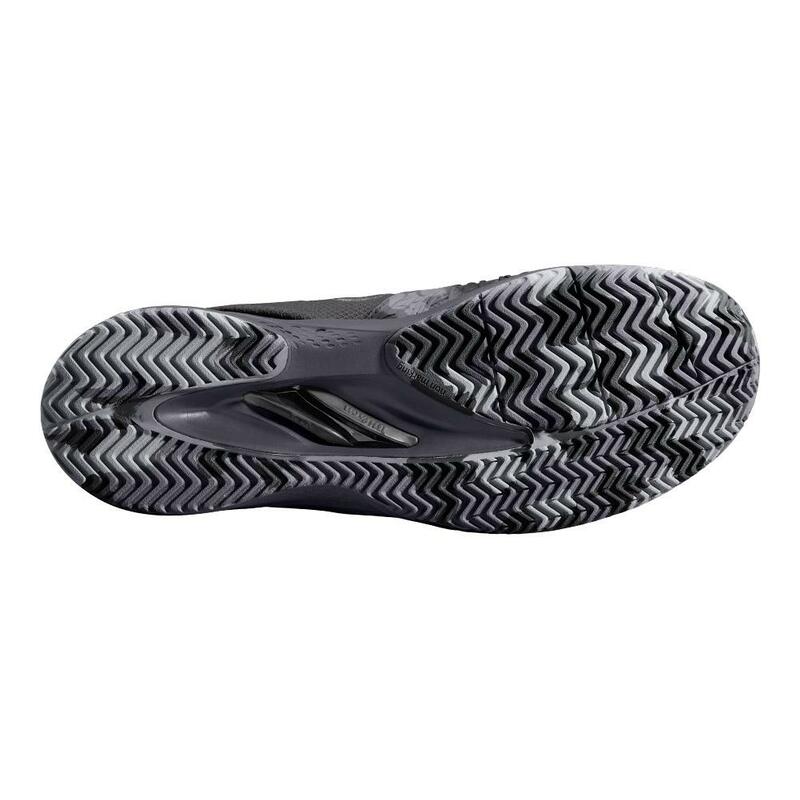 The zonal tread is engineering to be lighter for enhanced grip consistency. 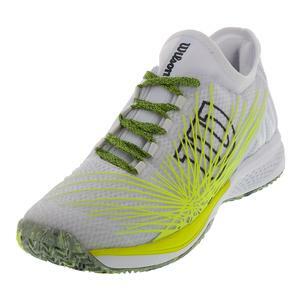 Speed comes comfortably with a cushioned 9mm heel-to-toe drop Dynamic Fit.